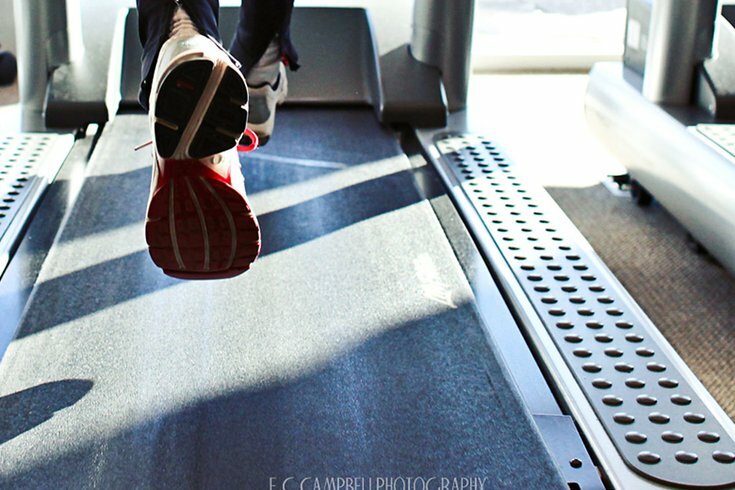 If this polar vortex has you sidelined from clocking miles along the scenic Kelly Drive for fear that you’ll turn into a moving ice cube — don’t forget there’s another option: the treadmill. While many trail runners refer to the indoor treadmill as the “dreadmill,” for reasons including its lack of scenery, noise and so on, some apps can make things a little more fun. Read on for four treadmill apps that will help you keep clocking miles when temperatures are too frigid to step foot on the trail. This free app — available for Apple and Android devices — features more than 50 guided runs, including six designed specifically for the treadmill. Choose from Nike’s runs from 15 to 30 minutes in duration which come with audio instructions — laying out information like pace and incline settings to encouraging tips — as well as general tips from top Nike running coaches. Plus, the app features a Spotify integration that allows you to lay the coach’s cues over your favorite playlist, so you aren’t stuck listening to random music that doesn’t inspire you. Available for both Apple and Android users, this app is for the visually-driven runners. Treadmill Trails provides 30-minute running videos that take you (virtually) everywhere from the Grand Canyon to Mt. Kilimanjaro. The best part? Once you purchase each video for .99 cents and download it to your phone, it’s stored on your camera roll, so you can access it without wifi if need be. New trails are downloaded each month to keep things fresh. While this app offers tons of workout programs, from boxing to yoga and weightlifting, running is by far the most popular category. Featuring programs by one of New York’s top running coaches, Meg Takacs, a founding trainer of the app, there is a plan for every skill level of runner. Before you choose a run, you can check out all the details in the app, including estimated distance, peak speed, peak incline, and music style (all classes are recorded with the music blended in), so you know what you’re getting yourself into. Available on Apple and Android devices, Aaptiv offers a free seven-day trial and after that, it’s $14.99 per month. Ideal for the video game-loving runner, the world (in the app) has been overrun by zombies, and you have to literally run for your life to collect supplies and rescue survivors. There’s a free and paid version, available for Apple and Android devices, that feed instructions — like speed up! — through your headphones as you run. This app allows you to zone out while clocking your miles in an imaginary world.